Letterpress printed from metal type and photopolymer plates on Stonehenge paper in Baskerville and Univers; inkjet printed on Hahnemuhle Duo and Epson Ultra Smooth. Found photographs (used with permission). Housed in a book cloth covered slip case. 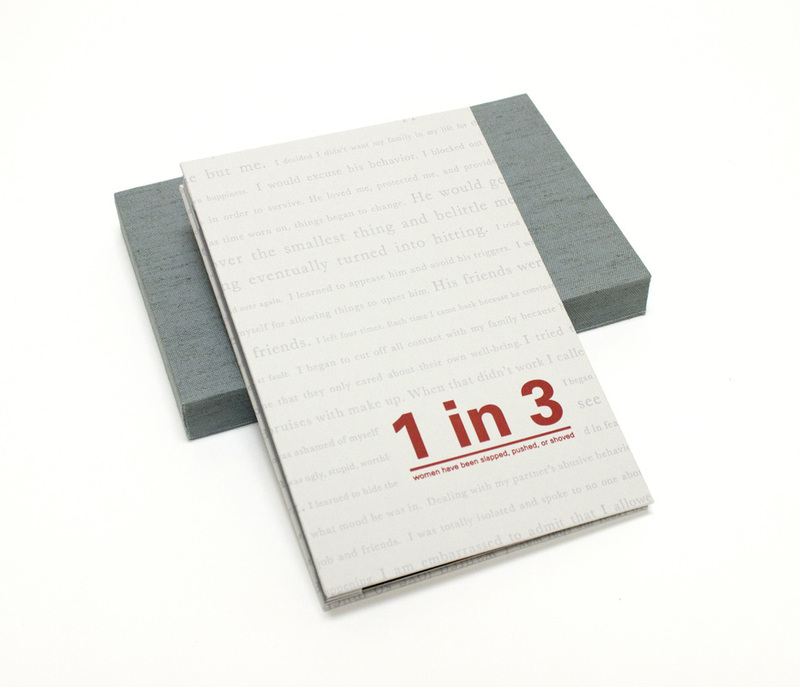 1 in 3 was inspired by recent media attention focusing on domestic violence. Those who have never been in an abusive relationship usually ask , "Why did s/he stay?" Unless you have experienced it, it is hard to understand. 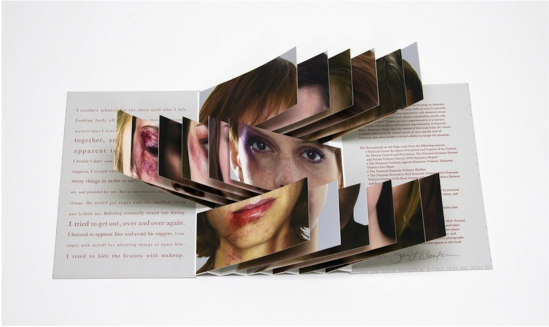 ​This is not an all-inclusive representation of domestic abuse. 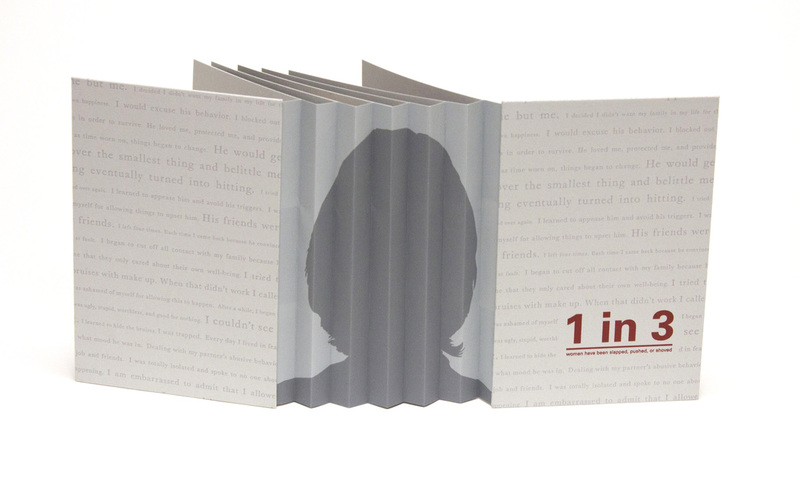 However, I hope that the content of this book helps the viewer to better understand the victim's point of view and the lack of resources that often hinder a victim's ability to escape the situation.